SATA Express is the newest specification from SATA-IO that is about to redefine meaning of speed when it comes to storage devices. In a nutshell, SATA Express combines existing SATA infrastructure with the PCI Express interface (hence the name SATA Express), giving users an affordable way to use storage devices that have whopping interface speeds of 8 Gb/s or 16 Gb/s. 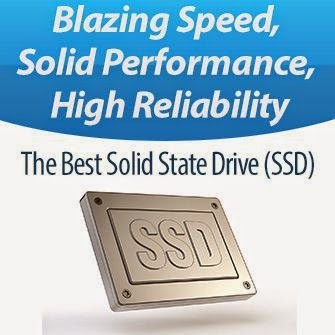 The new technology will allow hybrid drive and SSD manufacturers to create SATA Express SSDs that can make the most of the advantages of existing PCIe slots and still remain compatible with SATA applications. This will mean that devices used with SATA Express will be scalable and offer high performances at the same time. The decision to merge SATA technology with PCIe was driven by the high speed interfaces of 1Gb/s per lane that is offered by the PCIe technology. In contrast, existing SATA 6Gb/s technology allows only 0.6Gb/s. Amalgamating the two results in a huge performance boost. Therefore the focal point of the SATA Express is speed. The SATA 3.0’s interface speeds of 6Gb/s may be enough for most users at the moment. However, with the new technology SATA-IO is eying the high end clients who currently need faster speeds. This also means that it will set the standards for high speed interfaces of the future. SATA Express will allow SATA and PCIe infrastructures to coexist, offering the benefits of both. The SATA Express will be recognized by the client as any other SATA hardware. Since almost all modern PCs offer support for both SATA and PCIe, users will not have to buy upgrades for the new technology to be recognized. In addition, the SATA Express will boost performance by making use of more PCIe lanes to enhance speed. PCIe is a mature technology that is scalable because users can simply add additional PCIe lanes to enhance performance. Adding a second PCIe lane to the existing lane will boost potential support to as much as 16 Gb/s. The SATA Express specification also standardizes mechanical connections between host and typical 2.5 inch HDD form factors. The specification will also use common OS driver systems to allow interchangeability. Both these features are important in order to allow SATA and PCIe to coexist. The new modified host connector can support a maximum of 2 PCIe lanes or 1 SATA port. The SATA Express device connector can support maximum 2 PCIe lanes. A separate signal sent to the host informs the host whether it is a PCIe or a SATA device that is plugged in. This means that the motherboard needs only a single connector to support either a PCIe or a SATA device. Another benefit of the SATA Express is that users will be able to experience the full performance of PCIe as there is no translation overhead through SATA links or transport layers. And for enterprise applications, the SFF-8639 multifunction connector can link to a PCIe device for high performances. SATA Express offers a giant leap in speed over the existing SATA 3.0. The new technology is 3.3 times more efficient and powerful than the 6 GBps SATA, with a corresponding boost in power of only four percent. It also beats SATA 12 GBps performance by 1.6 while consuming less power. SATA Express takes flexibility a step further by providing the M.2 host for tablets and thin notebooks. Similar to the SATA connector in PCs, the M.2 card can be linked either to a SATA device or a PCIe device. This means that the SATA Express will cover a wide range of client storage from desktop PCs to mobile devices, which is essential in a world that is going increasingly mobile and performance-hungry. Why the Need for Higher Speeds? In this era of increasing connectivity and dependence on computing, people need the highest speeds from their computing devices. And when it comes to gamers and web servers who need devices that can process and store large amounts of data at optimal speeds, every little increment in speed is an added benefit. Enterprise configurations are also likely to soon saturate the 6 Gb/s interface that exists today, and there is bound to be a need for higher speeds in the near future, if there isn’t today already. Existing SATA infrastructure is not equipped to deal with this potential demand for higher speeds, and SATA-IO members saw a need for improving on the existing specification. This led to the development of the SATA Express. And the SATA Express is a giant leap in the revolution of computer speed. The current SATA interface runs at about 600 MBps and most high end SSDs are already close to that speed. The new specifications will revolutionize what is possible and we expect to see some super-fast SATA Express SSDs in the near future, once the specifications hit the high end markets.